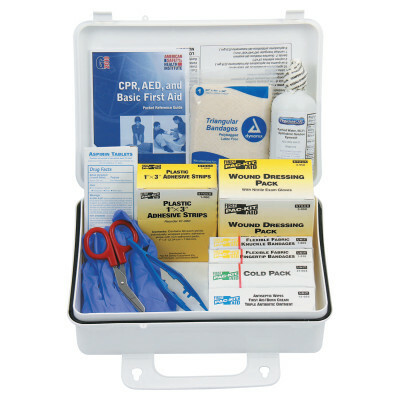 25 Person ANSI Plus First Aid Kits, Weatherproof Plastic, Wall Mount | Safety First Services, Inc.
Neat, orderly interior packaging makes contents easy to locate and use. Weatherproof gasket keeps contents free from dust and moisture. Carry-handle or is wall mountable.